With ice expected Sunday, more than 300 flights were canceled Sunday at Dallas-Fort Worth International Airport. "I just want to get home. I have been away six months, " said Udi Lazimy. Lazimy and many other travelers stood in line to find other flights after about one-third of DFW's daily departures were canceled. "We are delayed and the morning flight got canceled," said Andy Fuentes. Because of the Winter Storm Warning, airlines serving DFW International Airport canceled 300 departures by mid-Sunday afternoon. 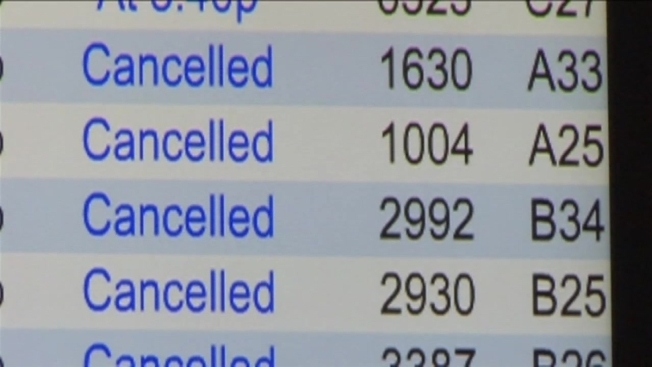 The airport said most of those cancellations are flights scheduled in the afternoon and evening hours. For some people like Andrew Stranger, a canceled flight means a two-day wait. The airman is trying to meet up with his squadron. "Just going to stay out here and sleep for a while, [I] don't sleep well on airplanes," said Stranger. People got pretty creative passing the time. Sunday Night Football was a good distraction. Many people worked their phones, booking hotels, to get back here in the morning and try again. "If it is something else like mechanical, strike or something, they have control over, yes it annoys me. But when it is weather-related, I don't think there is a whole lot I can do, " said Terry O'Brien. 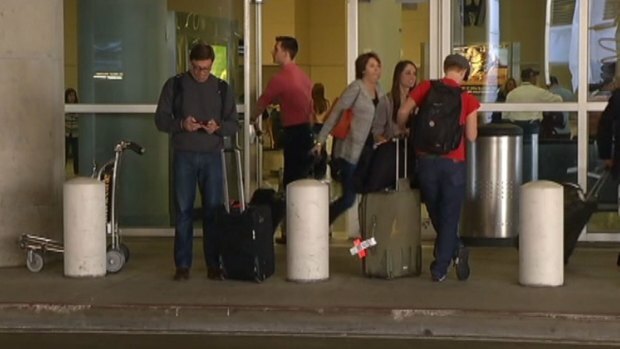 DFW Airport told NBC 5 that there are some people that will have to spend the night in the terminal, but that many were able to get to hotels because the flights were canceled earlier in the day.